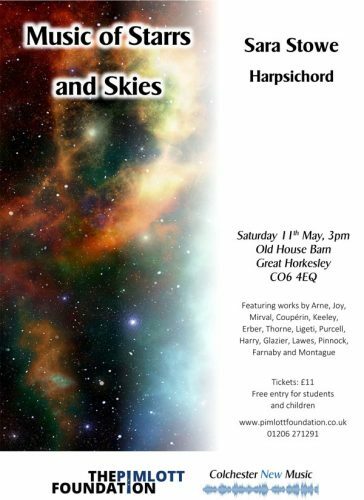 The concert is part of a tour of new music for harpsichord part-funded by the R.V.W. Trust. Sara Stowe’s recent performances include new Italian music for soprano, for the Oxford Italian Association and concerts at the King’s Lynn Festival and English Music Festival with the group Sirinu. Students and children are free.